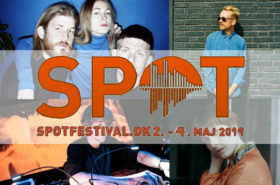 After Good because Danish (once again) successfully kicked off Danish festival season with SPOT Festival, it’s time to take a good look at the calendar and mark all the other events this small country conjures out of nothing each year! When you think about outdoor music events, you’re probably picturing a huge patch of grass dry ground with a bunch of people on it – right?! Although there is absolutely nothing wrong with classic festival grounds or the closest park (We LOVE Roskilde Festival and NorthSide! ), Denmark actually also offers some pretty cool events in locations that are quite different from the good old open festival field. 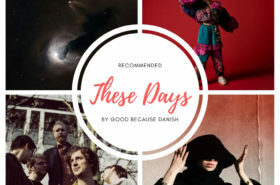 Since we’re not only fans of Danish music, but also of Denmark and live music, we collected 10 of these unique events that are worth checking out. Check Part 1 below and keep your eyes out for Part 2 soon! The world’s second oldest amusement park Tivoli is based in the very heart of Copenhagen. In the summer you actually cannot avoid hearing people on different rollercoasters scream their lungs out – while you’re cycling to or from such mundane places as work/uni/school. It’s both weird and awesome at the same time. 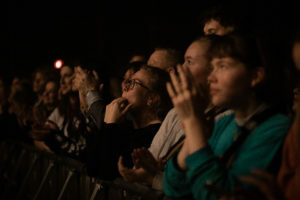 Besides its regular Friday concerts throughout the summer, Tivoli also opens its ports for upcoming Danish music once a year during Offspring Festival. That’s pretty awesome, too. Danes like beer, and they love after-work-beer. It’s basically a cultural must to celebrate “Friday bar” at work/uni/school or wherever you are around 4pm on a Friday – but nobody refuses a cold sip in the early evening hours during weekdays either. Hands down: what’s better than a cold drink, the day’s last rays of sunshine and open-air live music? Everything combined in one of the coziest courtyards in town! And this is pretty much the recipe of success for Copenhagen venue Pumpehuset’s Byhave. The annual illustrious party week DISTORTION actually follows quite a simple principle: let’s turn the cozy and usually quite serene city of Copenhagen into absolute party central! (…and everyone’s like “YEEEAH!”) After massive daytime street parties and numerous underground night club events in the city’s hippest neighborhoods, DISTORTION culminates in a grand two-day finale in the Copenhagen harbour. You’ve probably heard of Sjælland, you’ve probably heard of Jylland, but we shouldn’t forget about the often underrated island that awkwardly lies between the two mentioned ones: Fyn. 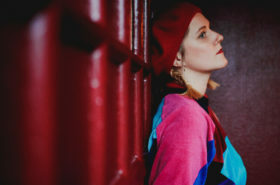 The first ever edition of new and exciting Heartland Festival is not only bringing music, but also modern art, live talks and gourmetfood to the stunning surroundings of Egeskov Castle and Gardens which lie on – you’ve probably already guessed it – Fyn! Everybody who knows Denmark, knows the omnipresent concept of hygge. And while it’s not a solely country-based talent to cozy up with whatever makes you feel alright, there’s something about how Danes can turn even the most uninviting places into pretty snug ones. Let me give you just one example: the cool, non-profit Carpark Festival chose an unused space under a motorway bridge for their event’s location. All hygge errthang!